Demolition Man is a Sega Mega Drive and Sega Mega-CD action game based on the 1993 film with the same name. The Sega versions of Demolition Man follow the events of the film, with players controlling convicted Los Angeles cop John Spartan (Sylvester Stallone) attempting to take down career criminal Simon Phoenix (Wesley Snipes), first in 1996 and then in 2032. Gameplay consists of a mixture of side-scrolling platform and top-down shooting segments. Both versions are identical, save for added full motion video clips from the movie and a CD audio soundtrack in the Mega-CD port. 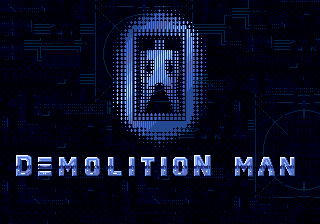 Main article: Demolition Man/Magazine articles.